While personalization is set to push a revenue shift of some $800 billion to the 15% of companies that get it right, no one ever said it would be easy. And all the kumbuya’ing around the fire about believing in the strategic value of personalization won’t change the fact that companies are still struggling to turn their visions of individualized experiences into reality. The problem is, with too much weight put on the technology behind personalization and not enough on the foundations needed to build and scale a successful program, organizations are finding themselves stuck in the trough of disillusionment phase on the Gartner Hype Cycle. A complex field with lots of moving parts and various potential applications that transcend marketing channels, without a proper ecosystem built around it, even the most comprehensive personalization tool will flounder to drive meaningful results. 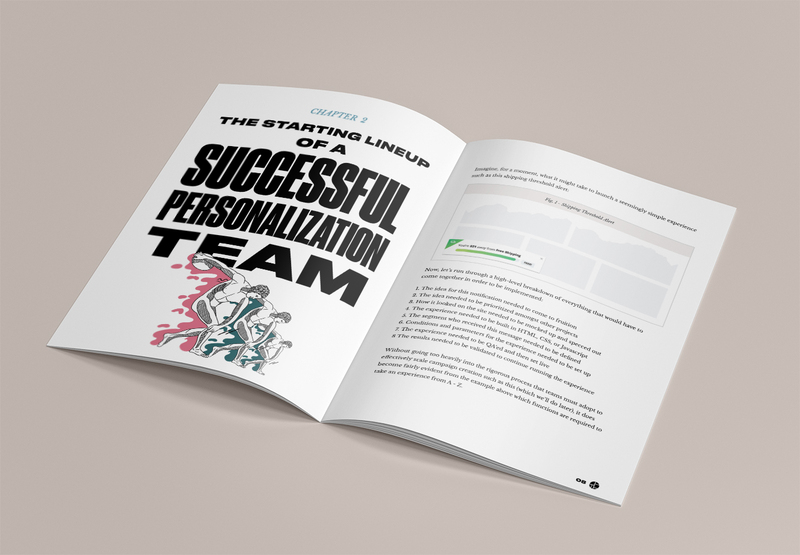 With not enough written on the topic, we knew we had to close this massive knowledge gap and create a guide that would help organizations better understand what exactly they needed to achieve long-term, sustainable growth with personalization. Aptly titled, Vision to Reality breaks down the resources, processes, and cultural mindset necessary to support a successful program. And while there’s no one fits all approach, the information outlined in this book should act as guiding light for any company looking to make or further develop personalization as the cornerstone of their customer experience efforts. Available for download as a regular PDF through Dynamic Yield resource center, a special softcover version and Kindle Edition of this guide has also been created for purchase in the Amazon store. The design, which juxtaposes the bold, rebellious, and jagged aesthetics of punk rock with the golden age of Grecian and Roman mythology, draws connections between the dynamism of teams / process and the pursuit of glory / heroism shown by some of the period’s most popular legends. It is a revolutionary guide – just as much beautiful as it is practical. For customers and partners who have received advanced copies of the book, it’s already become a staple in how they think about and operationalize around the practice of tailoring unique experiences for individuals. 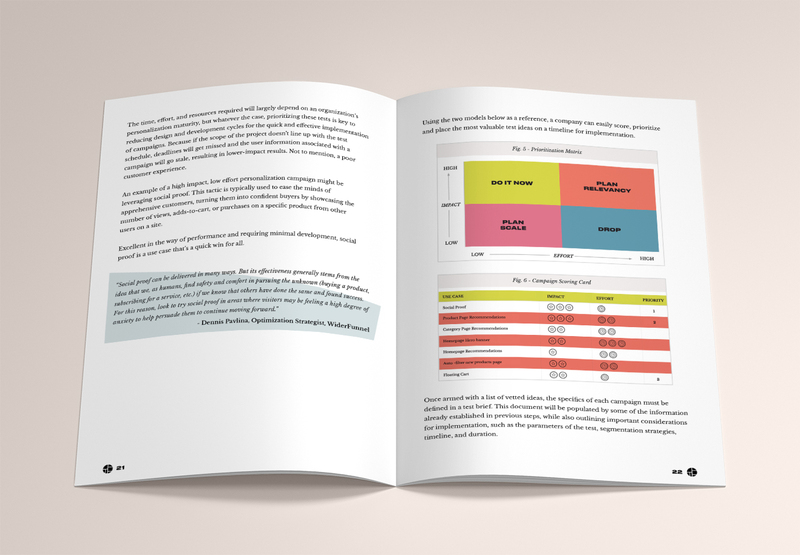 Pick up the copy of your choosing and start your journey to scalable and impactful personalization results today.